The Louis Collection is crafted with details that exude elegance and grace. With carved posts, arched curves, and finishes in espresso or manor grey, the Louis Collection provides a lovely foundation to any nursery. 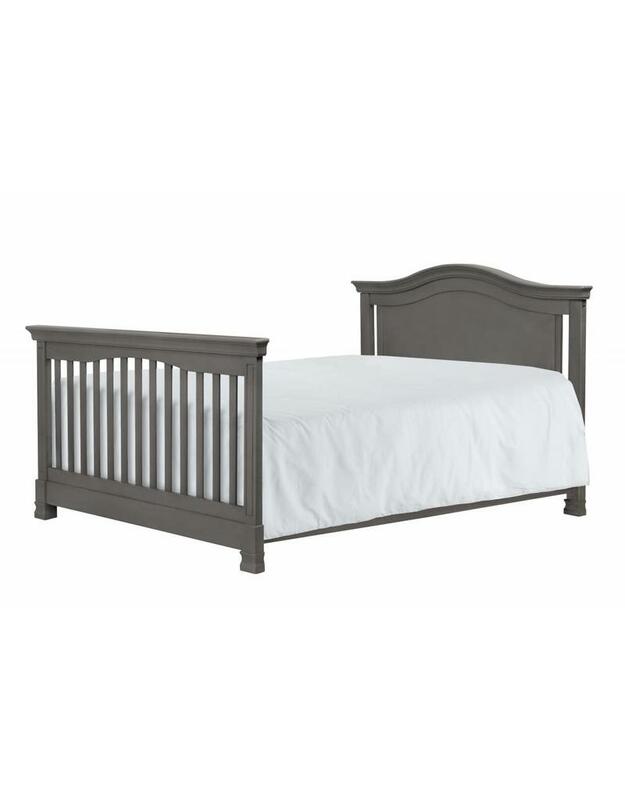 With carved posts and classic arches, the Louis 4-in-1 Convertible Crib exudes heirloom charm. The Louis crib is detailed with a full back-panel, and tailored posts and feet create a structured environment for baby. Available in Espresso or Manor Grey, this elegant crib is a perfect centerpiece for your classic nursery.